‘Hellelil and Hildebrand, the Meeting on the Turret Stairs’ (1864). The exhibition will bring together over 70 works by Burton, which will be shown alongside works by John Everett Millais, Dante Gabriel Rosetti, Edward Burne-Jones, Ford Maddox Brown, Daniel Maclise, and William Mulready. It will also look at his period in Germany and his tenure as director of the National Gallery, London. 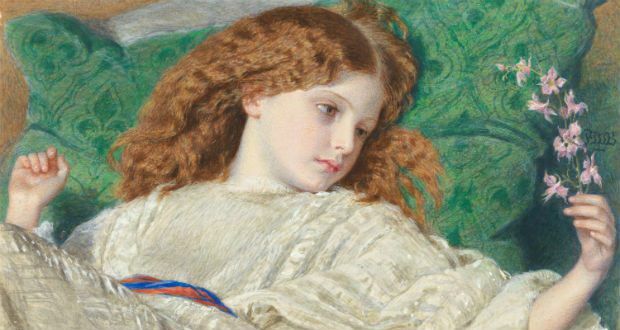 For the Love of Art: Dreams, by Frederic William Burton. Photograph courtesy of Yale Center for British Art, Paul Mellon Fund. F.W. Burton, Helen Faucit, later Lady Martin, as Antigone, 1845. An illustrated publication accompanies the exhibition, complemented by a tailored public engagement programme. Download a full programme of the associated events here.